The default setting for this in SQL is 0 and this was not a requirement, but a recommendation, in SharePoint 2010. Our new buddy SharePoint 2013 requires that MAXDOP be set to exactly 1. Furthermore, as foreshadowed above, if you ran the wizard with a highly privilege account on SQL, then the account would automatically make the settings change and continue without this failure. However, for me and many others this is probably not the case. Don’t get ahead of yourself though and simply make the settings change and re-run the wizard; you’re not out of the woods yet. When this failure occurred, it had already created the SharePoint_Config DB, meaning if you run the wizard again after making the settings change it will fail because the database already exists with the same name. While in SQL Server Management Studio switching MAXDOP make sure to delete the database before re-running the wizard. Under Advanced, locate Max Degree of Parallelism under the Parallelism section and switch the settings from 0 to 1. Click Ok and you can now continue on with your SharePoint 2013 deployment! configuration will still fail if you specify a higher value….tried it …. Thank you very much! I have updated the post now. I cannot agree with your reason for this problem, once I assume this a Sharepoint problem. Imagine if I have other databases in the SQL instance that I am going to install Sharepoint 2013, and also it is a production SQL Server. As I am a SQL Server DBA I’d never permit someone to setup the MAXDOP in SQL Server without my opinion or Microsoft CSS to advising me why i should do that. Marcos – Thanks for the comment. This setting is not something new. It was actually a best practice recommendation by MS for SharePoint 2010 as noted here: http://technet.microsoft.com/en-us/library/hh292622.aspx. However, it is now a requirement in order to install and use SharePoint 2013 – not my saying so, MS saying so. Also, I would never recommend SharePoint being installed on a SQL instance that is being used for other applications. 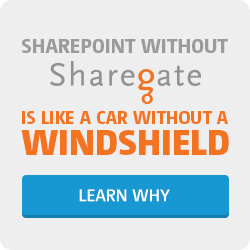 SharePoint is selfish and doesn’t like to share. 🙂 Thanks again for the comment and visiting my blog. 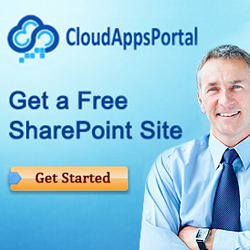 I understand that Sharepoint needs a special instance, but that’s the perfect world and sometimes it is not possible. Having a Microsoft link about this is truly awesome, because now we can argue with them about that. Please never install other databases in a SP instance. 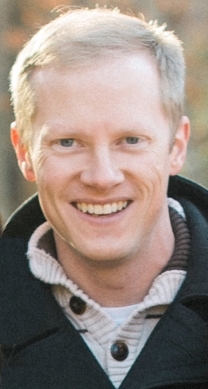 Like Adam says, Sharepoint is stingy and you are only asking for trouble. Things like this MDOP setting are a great example. Our SQL clusters standardize on MDOP value of 8, but SP 2013 requires 1. Again, as Adam points out 2010 it was not only a recommendation, but if you ever did a RAP with Microsoft (risk assessment), they would tell you it’s not supported. If “it’s not possible” to keep Sharepoint segregated in it’s own instance, then it sounds like the company probably either can’t afford it or they don’t have the expertise to be running it. Thank you so much Adam! It’s taken me several days (and counting) to setup a dev environment – win2k12 & SP13. Between the two of them – I may have no fingernails left in a few days!